Thanks so much for playing with me today Jammie. LOVE the card you made! Love the colors and the fun patterns. Hope you had fun at the gym... boy do I need to get there! Thanks for playing with me today! Great card! The colors are fantastic! 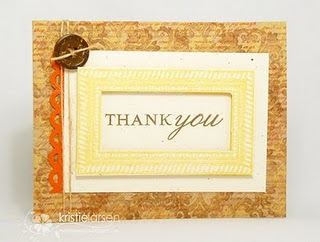 Great job, it is hard sometimes to do simple with all the fun embellies there are, you did wonderfully! !